Throughout my years of makeup wearing, the number 1 problem I had was it lasting long enough without smudging or fading. I asked one of my makeup artist friends what I could do to prevent this and she suggested to use a makeup setting spray once I'm done applying. I had no idea that kind of thing even existed until then. 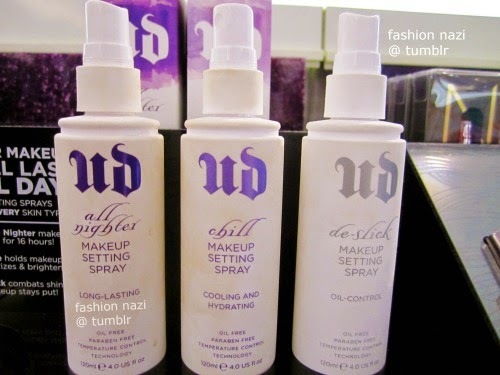 So I did some research, went to Sephora and ended up leaving with Urban Decay's Chill Makeup Setting Spray. I absolutely LOVE this product. Not only is it cooling and hydrating, it ACTUALLY works. Using Thermal Control Technology, the makeup stays looking how it looks after it's applied. The mist chills the surface of the makeup to help it stay put. I also had problems keeping my filled-in eyebrows on and this also helps keep that makeup in place especially when it's a hot day. 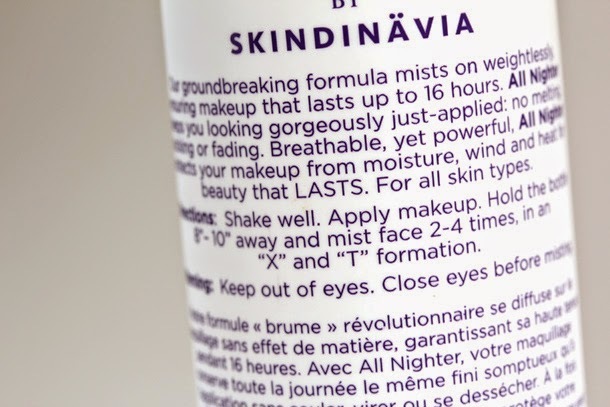 It was developed with an exclusive partnership with SKINDINÄVIA and made in Nice, France. I love the fact that it's oil free, paraben free and 100% vegan. I definitely suggest checking this out and after I'm done with this one, I'm going to check out Urban Decay's All Nighter Makeup Setting Spray and don't worry, I'll let you know ALL about it!